Having studied with Theatre Sense from the ages of 9-17yrs, leaving as our Head Girl, Hollie-Jane is fully aware of the importance of good tuition and performance technique. She has been performing locally outside of Theatre Sense for nearly 10yrs and has worked with societies including Opera South East and Battle Light Opera Group. With Theatre Sense, she performed as soloist for The Young Performers performances at Her Majesty’s Theatre, London and has formerly been a Cheerleader with Hastings Hotshots (TS) as part of the Hastings United Football Club Cheer Squad. She also competed in Cheerleading competitions through British Cheerleading Association. 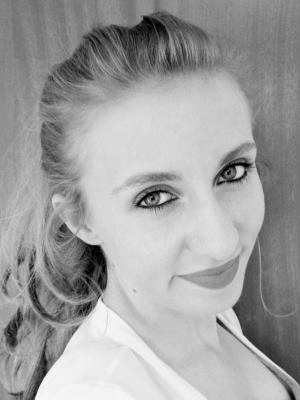 Hollie-Jane completed the BTEC Extended Diploma in Performing Arts and has gone on to continue her studies at Pineapple Studios, London where she has recently started showcasing Dance & Musical Theatre for the studios. Hollie-Jane’s performance roles to date include ‘Vi Moore’ (Footloose), ‘Velma Von Tussle’ (Hairspray), ‘Joyce Heth’ (Barnum), ‘Sophia Western’ (Tom Jones, the foundling), ‘Wendla Bergmann’ (Spring Awakening – the play) and ‘Maggie’ (Disco Inferno). Hollie-Jane is also keen on the visual arts and is a local Leader for Westfield Girlguiding UK.